We are super glad to announce the new launched service by LA Holidays between TBS and UMP Gambang. Students can now save the cost and their precious time to go to Kuantan Sentral to buy bus ticket. You can now easily book TBS to UMP bus ticket and UMP to TBS bus ticket online on BusOnlineTicket.com! After LA Holidays’ strong start in 2018 by launching numbers of new routes, LA Holidays has extended the TBS to Kuantan bus service by having a pick-up point and a drop-off point at the bus stop of University Malaysia Pahang (UMP) Gambang Campus main entrance. With this convenient service, students who have booked bus tickets online in advance with BusOnlineTicket.com can now save the journey of travelling between Kuantan Sentral and the campus. Students going to Kuala Lumpur can now simply wait for the coach at the bus stop opposite of the the campus main entrance to board the bus to TBS. 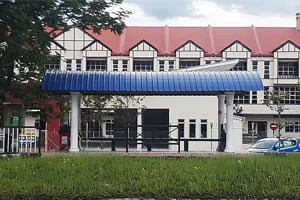 As for students coming back to campus from Kuala Lumpur, they can now alight at the bus stop in front of the campus main entrance. 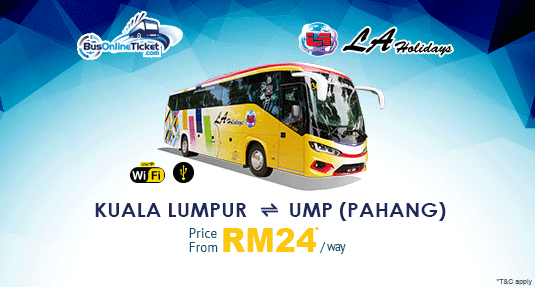 The bus fare between TBS and UMP is at an affordable price from RM 24.00 per way. 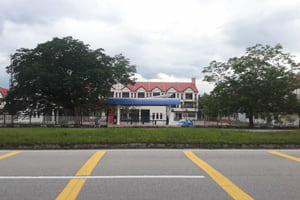 For coaches going to Kuala Lumpur TBS, the pick-up point at University Malaysia Pahang (UMP) Gambang is located opposite of UMP Gambang main entrance, as shown in the picture below. Get your LA Holidays Express bus between TBS and UMP Gambang ticket at BusOnlineTicket.com now so you don’t have to travel all the way to Kuantan Sentral and queue at the ticketing counter. For your peace of mind, you are advised to book your bus tickets in advance to ensure a smooth and enjoyable trip. An instant email confirmation will be sent to you once the payment is received.